There may be times when you are having to install a Tankless Water Heater in Phoenix, AZ, and it is important to make sure you know the proper steps on how to do so. It is prudent that you are aware of the proper techniques so that you can install it successfully with ease. However, tankless water heaters usually require a larger diameter of gas lines, dedicated-special stainless steel flue, higher voltage power supply, or a larger diameter exhaust system. It is very highly recommended that you use special union connector sets for the water supply to employ bypas capability. You will then need to turn off the main incoming water line that runs into the house. Then disconnect the supply line from the old water heater that you had, as well as, disconnecting the heat source from the old water heater. 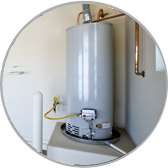 When you have finished disconnecting your old water heater, you will need to be sure and dispose of it properly according to the laws of the city in which you live in. When you are ready to install the new water heater, be sure to determine the location that is best suited for this appliance, and you will also need to be sure that the proper clearance all around it complies with all of the local and state building codes. Then, according to the manufacturers instructions, you will then mount the Tankless Water Heater in Phoenix, AZ on the wall and make sure that you have appropriately support the weight of the appliance. The next step would be to hook up all of the connections to it. You will begin by connecting the supply water line to it, next you should hook up the heat source, then you will light the pilot on the gas water heater according to the manufactureres directions, and then you will be able to go to the bathroom or kitchen and be able to enjoy the heated water coming from them.